Many clients like to include some piece of memorabilia from the graduation in their designs. 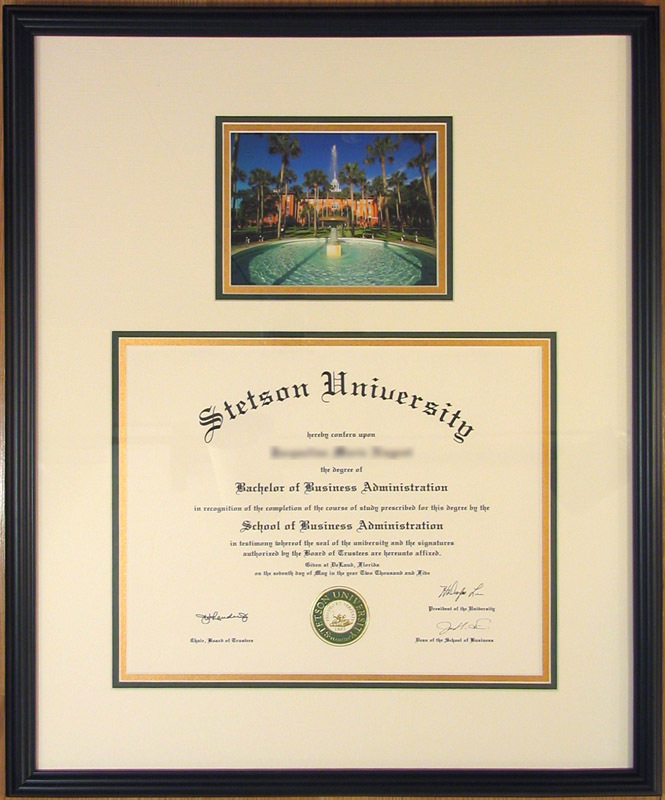 This client frames all of her diplomas in shadowboxes with the graduation tassel. Another memorabilia design. 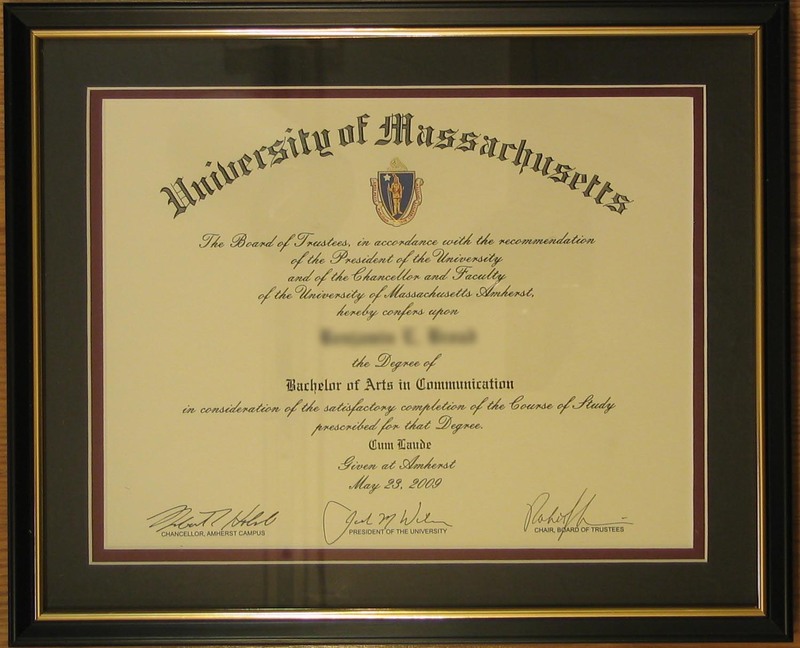 With small diplomas it’s often possible to include the diploma cover itself in the framing design. This particular one is of historical interest, dating back to when Mass. General Hospital operated their own nursing school. 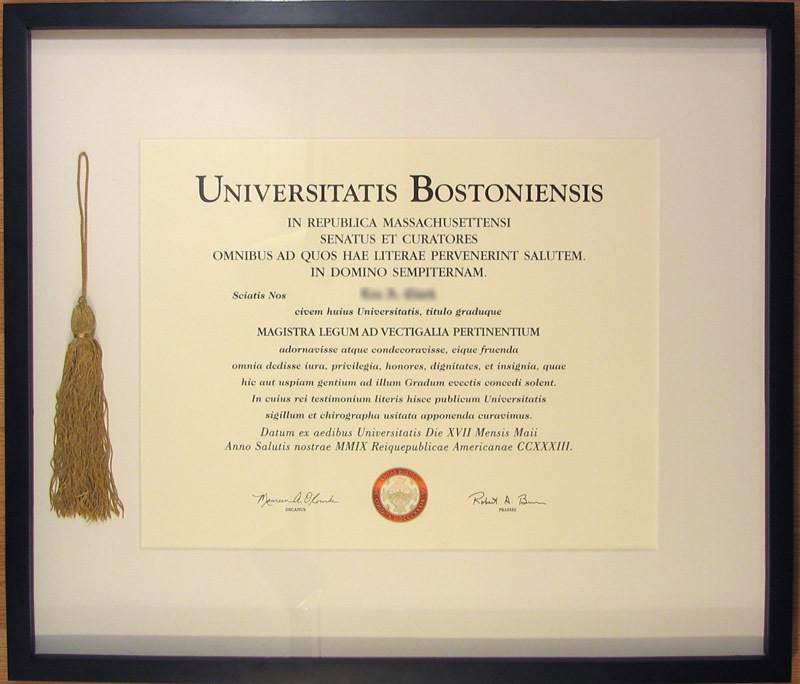 This client chose to include an iconic image from her university in the frame design. The mat choices (green & gold) reflect the school colors. Even a simple framing treatment can be enhanced with school colors and a little gold trim! Remember, gift cards from Baldwin Hill Art & Framing make the perfect graduation present!